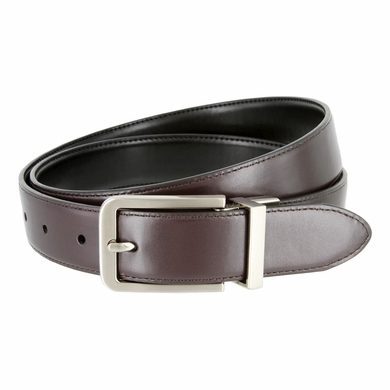 A reliable classic reversible dress casual belt, fit to be a staple in any wardrobe. Pull and twist the buckle to switch between black and brown leather. 1-1/8" wide.